We at Pipeburn love bombastic builds as much as the next bunch of motorcycle nuts. 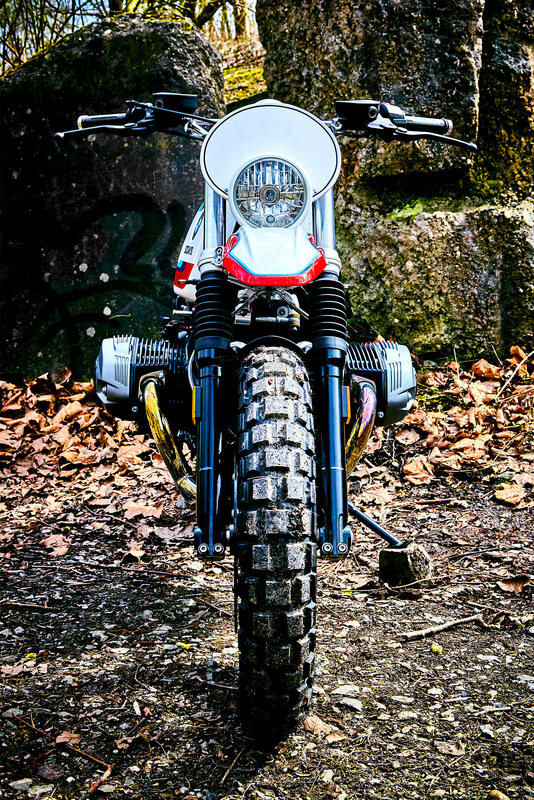 We love the rolling pieces of art, bikes built to look gorgeous but not really designed to be ridden everyday. Or sometimes, at all. We still get it. But the other option is truly appealing – a build that can be fired up and ridden every day. A bike that can be toured on, can be used as a commuter or even do some light dirt work. 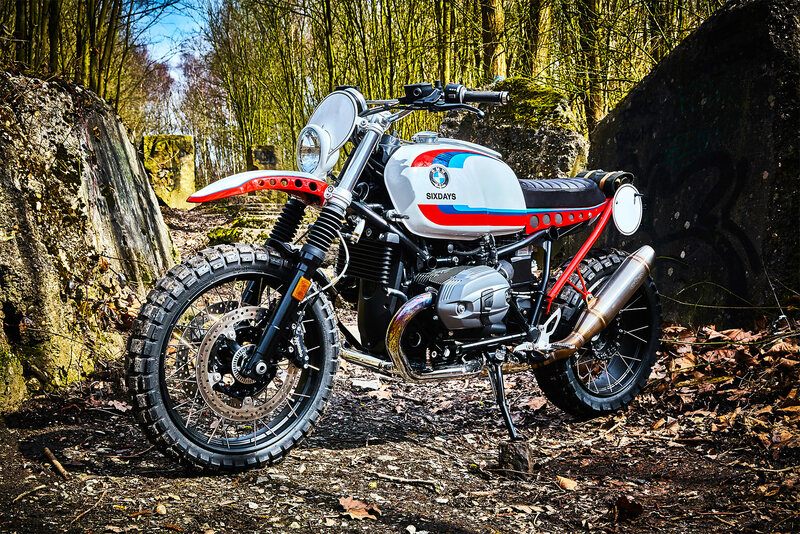 In our eye Germany’s Kingston Customs have struck the nail on head with this, their dirt-inspired BMW R nineT Urban they’ve dubbed ‘Six Days’. Firstly – the name. 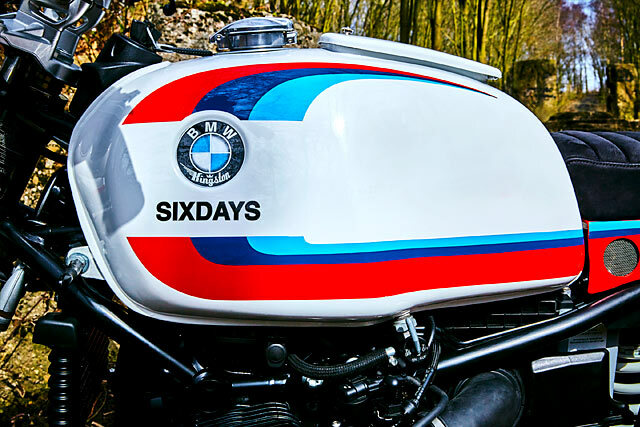 The International Six Days Enduro is often referred to as the ‘Olympics of Motorcycling’. 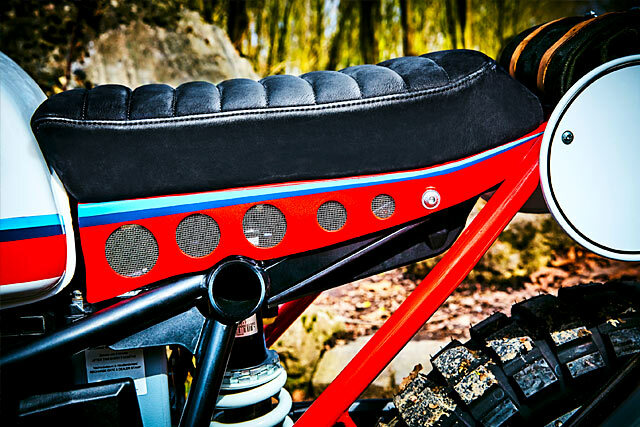 Held in different parts of the world each year, teams representing their countries take their bikes through a gruelling set of off-road trials over the course of six days. Sounds like any rally, right? Except that the competitors perform their own maintenance and replacement of mechanical parts is extremely limited. 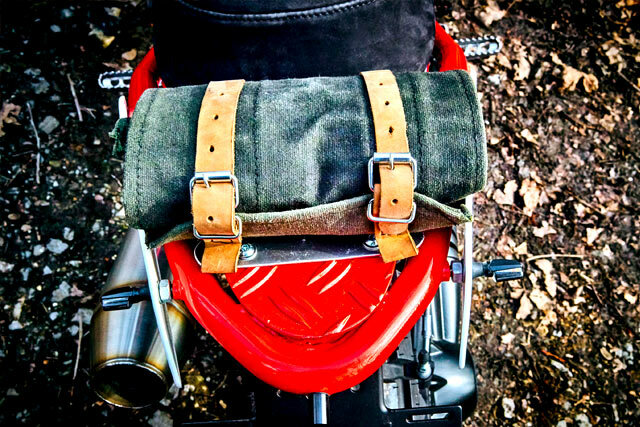 For motorcycle nuts it’s the perfect test of a rider and machine. 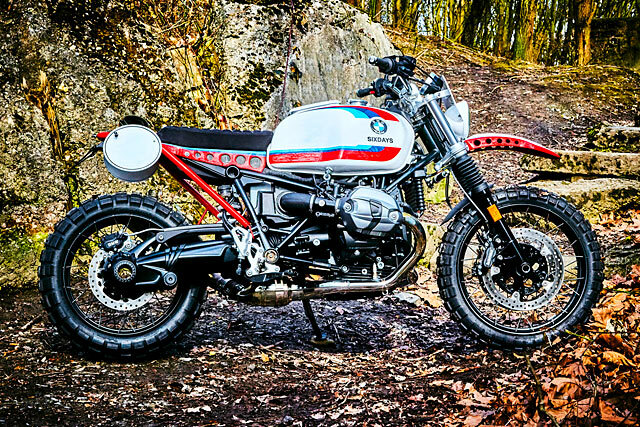 Though the R nineT wouldn’t be our choice if we were tackle the six days, we’re still unashamed fans of the bike here at Pipeburn. 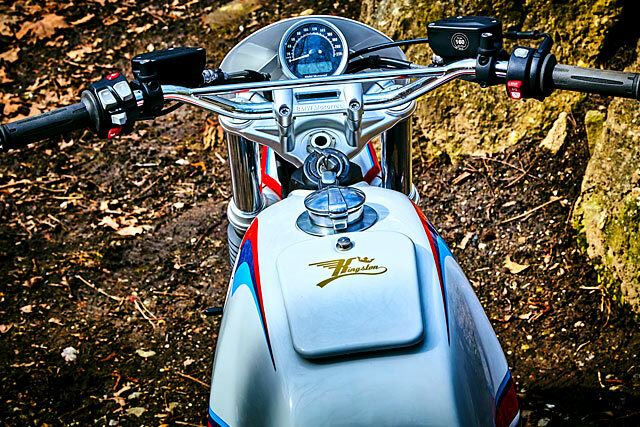 After years of getting leaked as the ‘lowrider’ project when the air-cooled twin finally hit the market a few years ago we were blown away by the quality of the model and have been enamoured with each of the models rolled out since. 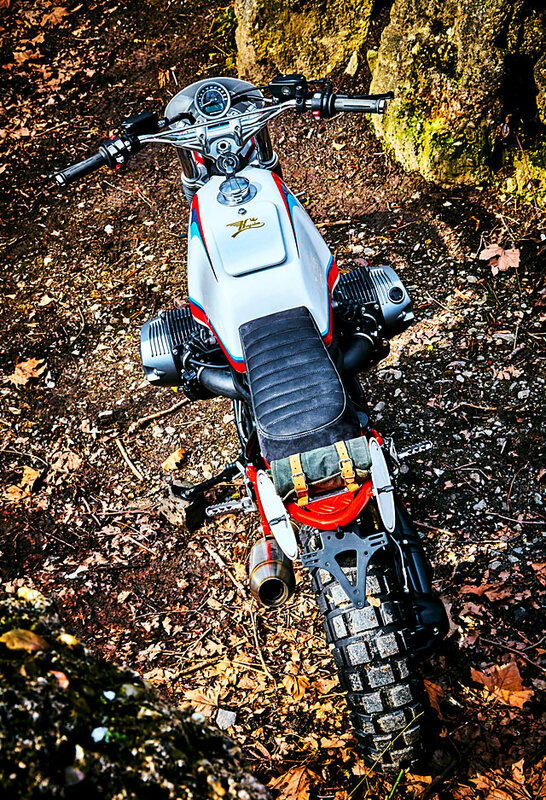 Hell, one of our fearless leaders and co-founders Andrew added a brand-spanking 2018 model to his stable recently. The first step had Dirk scouring his workshop for parts. 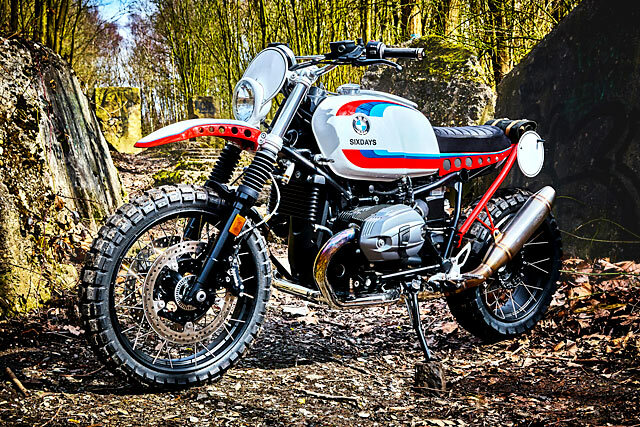 ‘I brought a 40-year-old BMW R75/7 tank out of my warehouse,’ he explains, ‘and I wondered why BMW did not put this shapely tank on the bike in the factory? The tank is designed so perfectly I think it just belongs on an R nineT.’ Dirk then went about modifying everything so the tank could fit. The airbox needed to be rerouted (It now inhales from beneath the seat) and then the hardest part of the build started – the fuel pump. The problem with a tank swap on a modern bike is the mounting of the fuel pump. It’s usually situated inside the tank itself, mounted to a removable plate in the bottom. 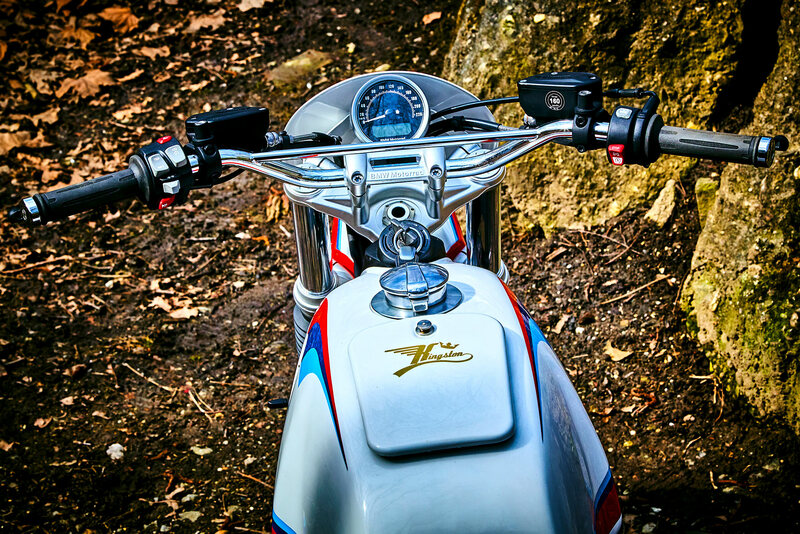 In theory it means it can be just cut out and mounted on the new gas tank – but it often isn’t as simple as that. All sorts of electrical cleverness means any change in angle or routing can kill the fuel level sensors or have wiring and plumbing bashing against the inside of top of the new donor part. But Dirk managed – and with the modification done so cleanly the original frame didn’t have to be modified. 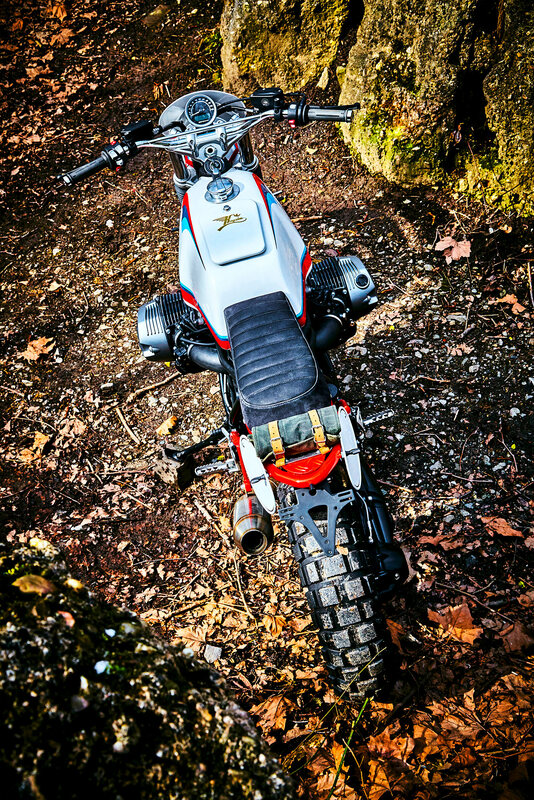 The rest of the build drew inspiration from traditional enduro bikes. 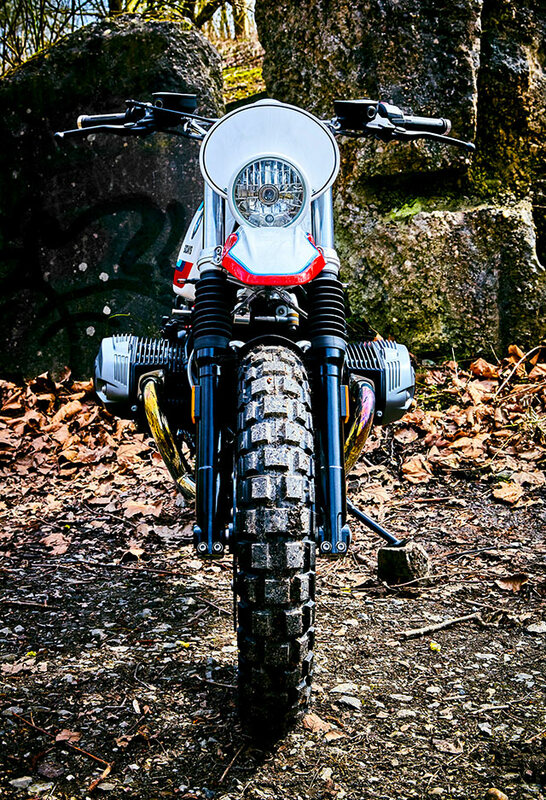 A wider steel handlebar replaced the standard model, an aluminum number plate was mounted on each side underneath the seat and behind the airbox intake and a small headlight brings the proportions much more inline with a light, long distance off-road machine from the 1970’s. Rounding off the modifications is a Hattech Stainless steel exhaust and an incredible paint scheme. 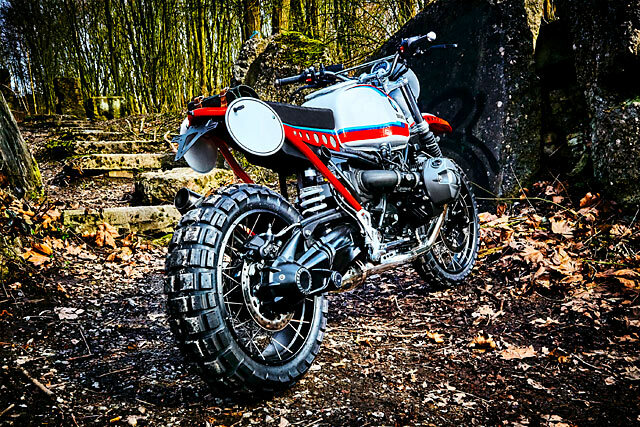 I love this bike – it’s got fenders, indicators and all the kit that’s required to actually take the damn bike off-road and belt out some miles. 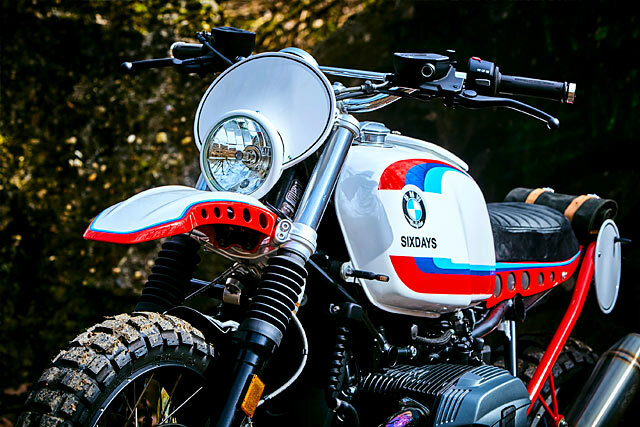 But the highlight is the beautiful tank that completely changes the way the bike looks. 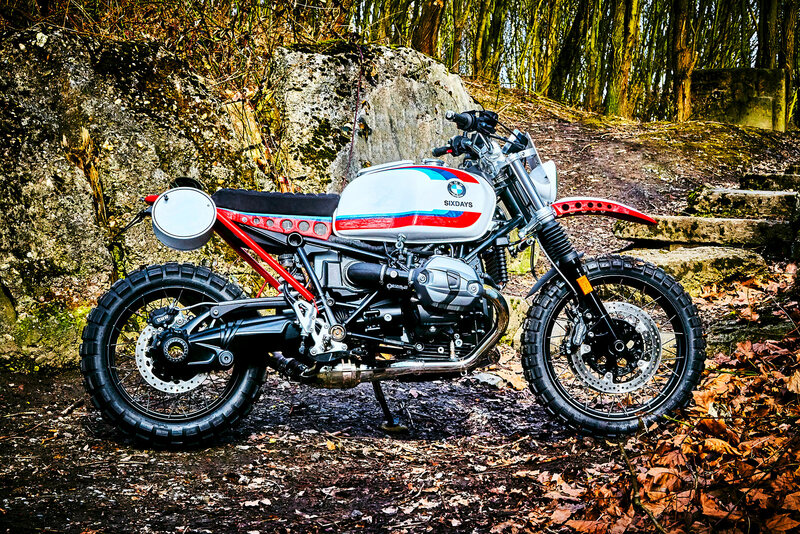 And none of the work done by Kingston Customs sacrifices the long-distance rideability of BMW’s R nineT series. It uses the standard frame and even the original attachment points of the seat. Dirk Oehlerking is understandably proud, ‘The whole project is just unique,’ he says, ‘it’s just a Kingston design.’ Well, thankfully for you, dear reader, it’s not entirely unique – Dirk says this is one of six planned builds over the coming months. But if you’re after one, get in quick.